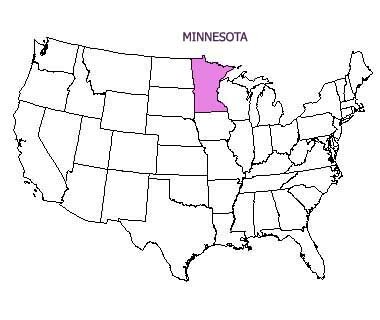 The Minnesota state motto is a French motto which in English means "The Star of the North". 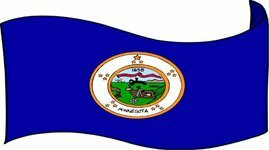 The Minnesota motto was chosen by Henry Sibley, the state's first governor, and the Minnesota motto was adopted by Legislature in 1861 along with the state seal. The adoption of the Minnesota motto happened three years after Minnesota became part of the Union in 1858. The motto is also a cherished symbolic memory of the French missionaries, traders, and explores that centuries ago entered the territory of Minnesota - some to do business, others to settle down and make a living. This popular Minnesota state nickname is derived from the Minnesota state motto "L'Etoile Du Nord" (The Star of the North). Minnesota, just like the state of Michigan, is really a home lakes and this Minnesota state nickname actually understates the facts. Minnesota has 11,842 lakes larger than 10 acres. The written testimony on the state licence plates, "10,000 Lakes", is a proud reference to all the lakes of Minnesota. Like the state of Kansas, Minnesota does very well in wheat production. "The Bread and Butter State"
This Minnesota nickname is another reference to Minnesota's large wheat production. 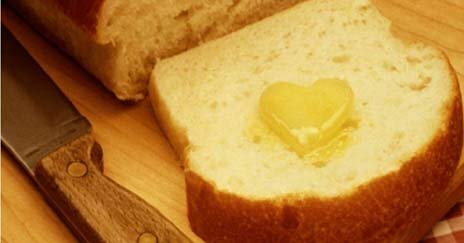 In 1902 at the Pan-American Exposition in Buffalo, New York, Minnesota's impressive ability in flour and dairy production was honoured by the name "The Bread and Butter State". "New England of the West"
The many New England emigrants in Minnesota are the source behind this Minnesota state nickname. The abundance of the cute, little striped gopher on the prairie regions of the state is the reason behind this Minnesota nickname. "Minnesota - 10,000 Lakes and 10,000,000,000 Moquitoes"
"Minnesota - 10,000 Lakes and No Sharks!" "Minnesota: Land of 10,000 Petersons"
"Save a Minnesotan - Eat a Mosquito"
"Minnesota - Mosquito Supplier to the Free World"
"If You Love Minnesota, Raise Your Right Ski"
"Minnesota - The Hockey State"
"Minnesota: One Day It's Warm, the Rest of the Year It's Cold"
"Minnesota - Where Visitors Turn Blue With Envy"
"Minnesota - Land of 2 Seasons: Winter is Coming, Winter is Here"
"Minnesota - Glove It or Leave It"
"Minnesota - Home of the Blonde Hair and Blue Ears"
"Minnesota - Where the Elite Meet Sleet"
"Minnesota - CLOSED FOR GLACIER REPAIRS"
"There Are Only 3 Things You Can Grow in Minnesota: Colder, Older, & Fatter"
"Minnesota - Have You Jump Started Your Kid Today?" 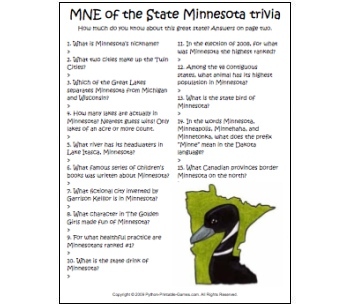 "Minnesota - Land of the Ski and Home of the Crazed"
"Minnesota - We're Not as Fat as Wisconsin"
"Minnesota - Home of the Mispi-Mispp-Missispp (Where the damn river starts!)" "Why Minnesota? To Protect Ontario from Iowa!" "Survive Minnesota and the Rest of the World is Easy"
"Minnesota - Come Fall in Love With a Loon"
"Minnesota: We're Not as Fat as Wisconsin"
Yes, Minnesota is the absolute king of kings of funny state slogans. Some of these funny state slogans can be bought on t-shirts and other souvenir items. Or maybe Alabama, Alaska, Arizona, Arkansas, California, Colorado, Connecticut, Delaware, Florida, Georgia, Hawaii, Idaho, Illinois, Indiana, Iowa, Kansas, Kentucky, Louisiana, Maine, Maryland, Massachusetts, Michigan, Mississippi, Missouri, Montana, Nebraska, Nevada, New Hampshire, New Jersey, New Mexico, New York, North Carolina, North Dakota, Ohio, Oklahoma, Oregon, Pennsylvania, Rhode Island, South Carolina, South Dakota, Tennessee, Texas, Utah, Vermont, Virginia, Washington, West Virginia, Wisconsin, and Wyoming.